When it comes to walnut, knowledge is key. Wood. One wouldn’t think it’s an exciting topic but when discussing kitchen cabinetry, it’s a primary concern. Especially when it comes to the elegant and elusive American Black Walnut. While walnut grows throughout the United States and Southern Canada, its commercial range is largely confined to fifteen central states. Plain & Fancy sources its walnut from Upstate Pennsylvania and the lower half of New York State. We work with a local, family owned company that purchases timber sawn stock. They have a kiln drying, surfacing, and molder operation. Primarily, their business is selling kiln dried hardwoods across Pennsylvania and out to some western accounts. With less than 1% of our forests being made up of walnut, competition is high as the market is in demand. As cabinet manufacturers, we are not alone in our love for walnut. Plain & Fancy grew up with walnut as our founder, John Achey, loved the species for its unique color and graining. Although no longer widely accepted today, our walnut cabinetry used to showcase natural walnut doors mixed with sections of sapwood (white growth area). When we think of walnut, we’re imagining the heartwood in the center but 25-30% of the tree trunk is made up of sapwood. Sap, the life blood of all trees, flows up and down through this outer ring and creates the white growth area you’ll see. This is what poses the biggest challenge when it comes to grading and finding consistent walnut. As a species, walnut doesn’t have a specification for color when it is graded using the National Hardwood Lumber rules. With the high demand and pressure on the market, more color is being processed and squeezed into shipments. The color variance people see is a mix from “steamed sap wood” to warm its color, to gray-brown, and tan. 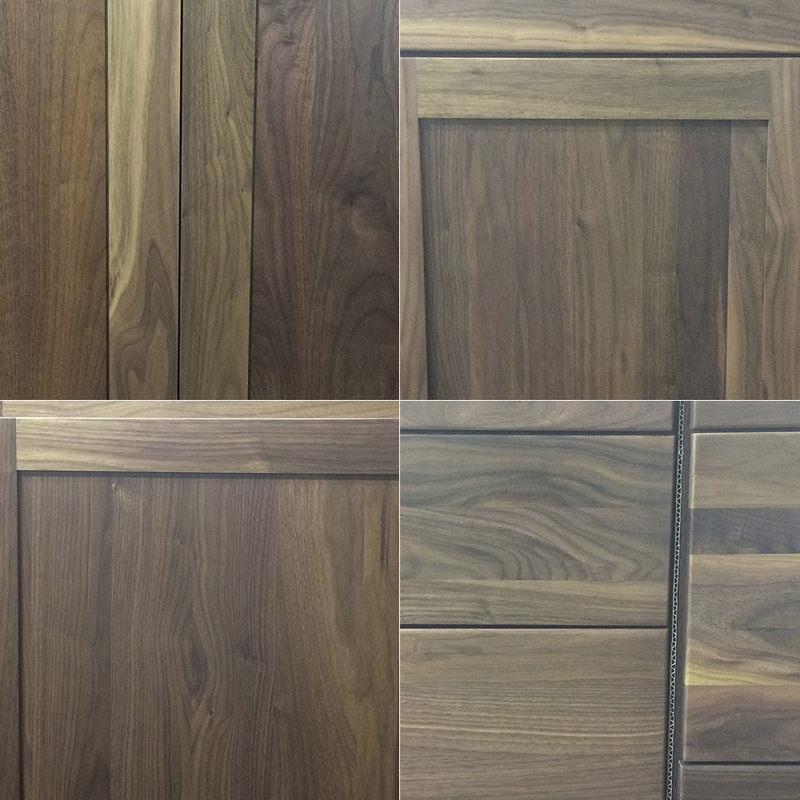 So if and when you choose walnut for your cabinetry, what should you be expecting? That all depends on you. Lovers of wood will embrace walnut for its variations in color and leave it natural. For a consistent look that still features walnut's tight grain, staining has been the trend. Designers and consumers need to have open communication about the challenges and realities of working with walnut. It’s important to get a sample, explore stain options, and make sure you are going to love it for years to come.